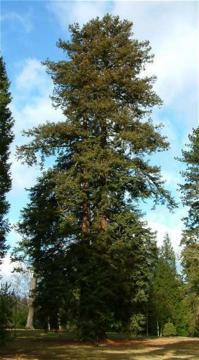 Large conical or columnar tree becoming very tall with maturity, particularly in its native Californian forests. Thick, spongy reddish brown bark. 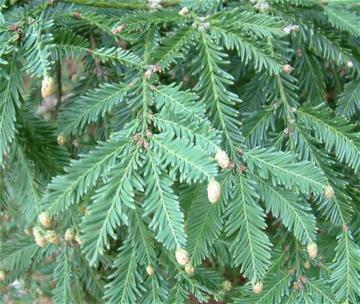 Slightly down-swept branches and yew-like foliage having two opposite ranks of flattened linear, deep green leaves, silvery-white underneath. 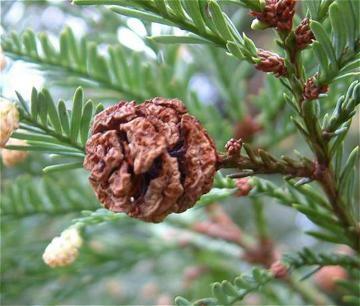 Female cones are rounded or ovoid, up to 3cm long, mid-green at first, ageing to brown. Reasonably fertile, moist, well drained soil in sun or light dappled shade. Thrives very in the West of Britain, growing up to 1m. per year. Generally accepted to be the world's tallest living tree. Official state tree of California.